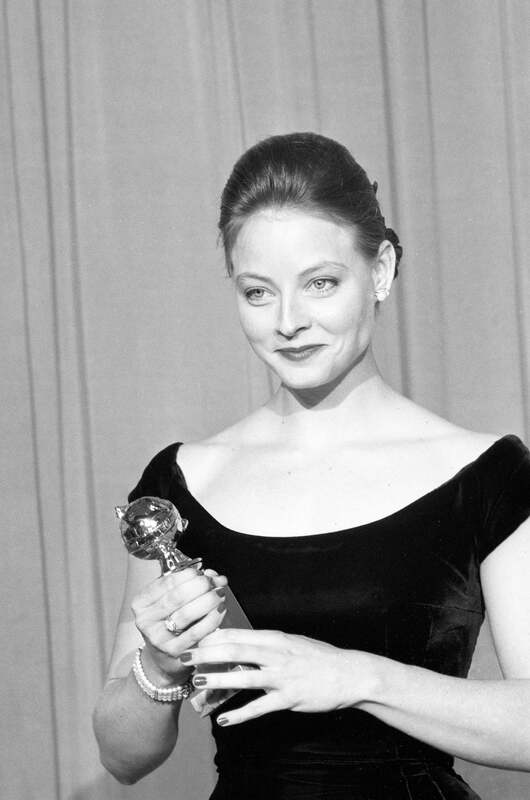 Jodie Foster and her Golden Globe for Best Performance by an Actress in a Motion Picture-Drama, for The Accused, 1989. In this excerpt from our archives, Jodie Foster, in the late 1980s, describes how she manages the life/work balance in what was already a long career as an actress and would soon a truly spectacular journey. "I don't believe in this idea of a feminine sensibility. I believe in a human sensibility. A man is entitled to my feminine sensibility just as much as I am. I have had 25 years of relationships without gender. I made a decision at a very young age that I would try to live the same life even if my career had its ups and downs. I didn't want to be one of those actors with a seven zillion dollars house in Beverly Hills and a huge mortgage, who has to do trash movies to pay for it. I don't believe fluctuations with your money should have anything to do with your personality. I will always drop off my letters at the post office, pick up my dry cleaning, drive my own car, because that's what living is. If I stopped living, then what's the point? Just so I can make a few more phone calls? What I would want to be remembered for is that I made a really mean leek vinaigrette or that I really loved Miles Davis's trumpet. I want to be remembered by the details of my life that are ordinary, but spectacular to me. My favorite days involve sitting in my house, listening to my records, cooking things for people, laughing hysterically at very, very bad television. I'd rather be remembered for those than any sort of bigger stuff that I've done." Happy Birthday, Olivia and Chris!